Wet and waterlogged/poorly drained sites are unsuitable for many mainstream hedging plants but there are still many suitable species, browse our wet sites page for more inspiration. Damp or wet sites can make for more difficult establishment of hedging and trees. To make things easier we have a good list of recommendations for you including Native, Evergreen and Flowering hedge species that all love damp and wet soil conditions. Hedging For Wet Sites – Wet sites are often associated with low lying areas near water courses and especially with heavy clay soils with a high water table. Such areas are often prone to winter waterlogging and flooding, however, wet sites are not always caused by the water table and can be the result of poor drainage. When you have established which is the cause then improving the site can help before planting. On heavy clay soil which can be very heavy in winter and hard and unforgiving in summer adding a generous amount of organic matter to the planting site and as much surrounding area as possible will help. Improving drainage will of course be beneficial when planting hedges for wet sites, forking drainage holes into the base and sides of prepared holes and raising beds or planting areas to allow a better drainage area below the roots. While there are many garden hedging plants and trees that are not suited to these harsher conditions such as Beech and Yew, the good news is there is a great selection of trees, shrubs and hedging plants that will revel in these wetter conditions! For a taller screen we stock a variety of trees including the native Common Alder as well as the Grey Alder and exceptionally hardy Italian Alder. Birches, Lombardy Poplars and Willows are a good choice as well. Our Sweet Gum Trees or Liquidambar will also do well in wet conditions. For more moderaely sized hedging for wet sites we stock a good section of Dogwoods and other suitable native hedging plants such as Hawthorn, Blackthorn, Alder Buckthorn, Elder, Guelder Rose and Hornbeam. 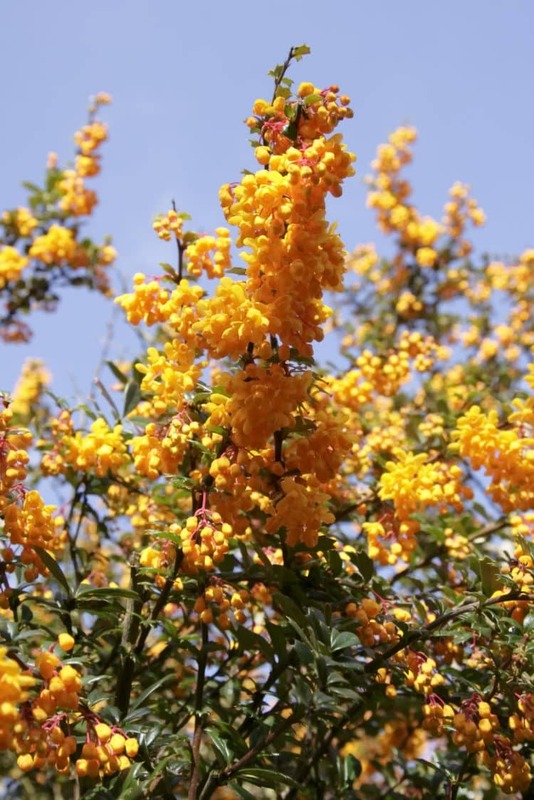 There is a rather more limited selection of evergreen hedges for wet sites but Berberis stenophylla and our Thuja hedging varieties are suitable species. A number of more informal flowering hedges will also grow well in wetter conditions including Weigelas, Spiraea and Snowberry, all of these less common species make good hedging for wet sites.